With the Champions League season underway we take a look back at some of the more special of the 80 moments when a hat trick - three goals were scored by the one amazing player – were scored in the Champions League. The very first ever hat trick of the Champions League era was scored by Juul Ellerman. Ellerman was playing for PSV and scored his memorable hat trick in a match against FK Zalgiris, on the 16th September 1992. 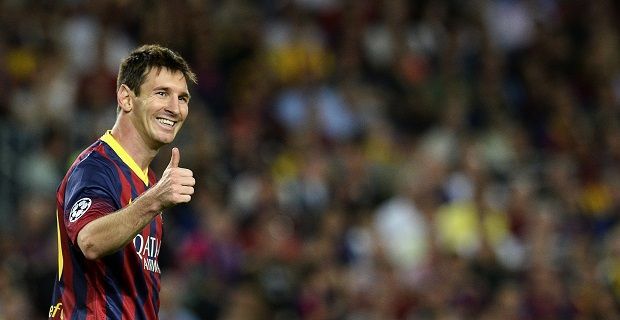 Messi, the current FC Barcelona player, and arguably one of the greatest players ever is not only one of only two players to score two hat tricks in a single Champions League season (2011/2012 with Mario Gomez being the other) but he is the only player to ever score four hat tricks in the Champions League. The most recent being September 2013 when he scored a hat trick in their opening game against Ajax Amsterdam. Lyon player Bafetimbi Gomis scored the fastest ever Champions League goal when he netted the ball three times in 7 minutes in a game against Dinmo Zagreb in the 2011/2012 season. Wayne Rooney was the youngest player to ever score a Champions League hat trick. He was 18 years and 335 days when he scored while playing for Manchester United against Fenerbachçe in September 2004. Not only that but it was his Champions League debut. He is one of only six players to achieve this in their debut. Unfortunately that was his only hat trick in his Champions League career to date! With more than 60 players who have scored hat tricks there is certainly a lot of choice but some of the best of the rest are Filippo Inzaghi who scored a total of 3 hat tricks during his Champions League career and Michael Owen, Andy Cole and Christiano Ronaldo who have each scored two hat tricks during their Champions League campaigns. Can Barcelona win the Champions League again? Who will make it to the 2012 Uefa Champions League Final?